History of the Lake Creek Settlement following colonization in 1831 and the founding of the Town of Montgomery, Texas in July, 1837. 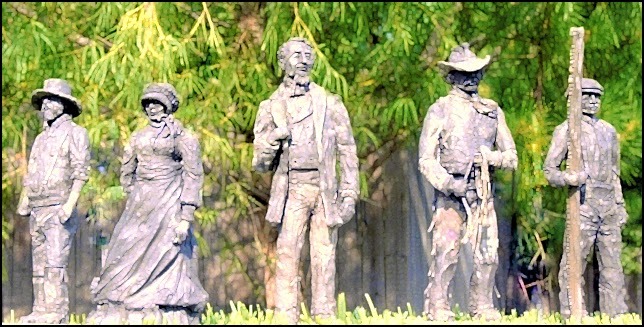 Extensive and historical information regarding the earliest pioneers of the Lake Creek Settlment and the town Montgomery, Texas founded there in 1837. Information about Fernland Historical Park and Museum. Historic Texas log houses and homes dating from the Republic of Texas and Civil War periods in Texas history. Welcome to historic Montgomery, Texas the birthplace of the Lone Star Flag of Texas. Your source for events, shopping, dining, businesses, historical sites, and so much more in Montgomery, Texas. HMBA - Historic Montgomery Business Association. Information about Montgomery, Texas on Wikipedia. Your Houston News article about the Pioneers of Montgomery monument project planned for Cedar Brake Park in historic Montgomery, Texas.